In 1986, the mathematician and philosopher Gian-Carlo Rota wrote, “I wonder whether or when artificial intelligence will ever crash the barrier of meaning.” Here, the phrase “barrier of meaning” refers to a belief about humans versus machines: humans are able to “actually understand” the situations they encounter, whereas AI systems (at least current ones) do not possess such understanding. The internal representations learned by (or programmed into) AI systems do not capture the rich “meanings” that humans bring to bear in perception, language, and reasoning. In this talk I will assess the state of the art of artificial intelligence in several domains, and describe some of their current limitations and vulnerabilities, which can be accounted for by a lack of true understanding of the domains they work in. I will explore the following questions: (1) To be reliable in human domains, what do AI systems actually need to “understand”? (2) Which domains require human-like understanding? And (3) What does such understanding entail? Melanie Mitchell is Professor of Computer Science at Portland State University, and External Professor and Member of the Science Board at the Santa Fe Institute. She attended Brown University, where she majored in mathematics and did research in astronomy, and the University of Michigan, where she received a Ph.D. in computer science, Her dissertation, in collaboration with her advisor Douglas Hofstadter, was the development of Copycat, a computer program that makes analogies. 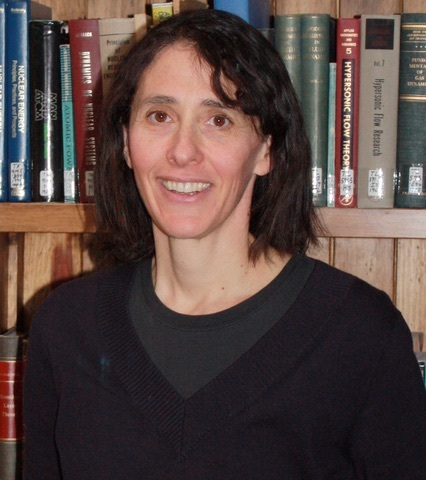 She has held faculty or professional positions at the University of Michigan, the Santa Fe Institute, Los Alamos National Laboratory, the OGI School of Science and Engineering, and Portland State University. She is the author or editor of five books and over 80 scholarly papers in the fields of artificial intelligence, cognitive science, and complex systems. Her most recent book, Complexity: A Guided Tour (Oxford, 2009), won the 2010 Phi Beta Kappa Science Book Award. It was also named by Amazon.com as one of the ten best science books of 2009, and was longlisted for the Royal Society's 2010 book prize. Melanie originated the Santa Fe Institute's Complexity Explorer project, which offers online courses and other educational resources related to the field of complex systems. Melanie Mitchell (2018) Artificial Intelligence Hits the Barrier of Meaning. Opinion, The New York Times. Max H. Quinn, Erik Conser, Jordan M. Witte and Melanie Mitchell (2017) Semantic Image Retrieval via Active Grounding of Visual Situations. arXiv: 1711.00088.